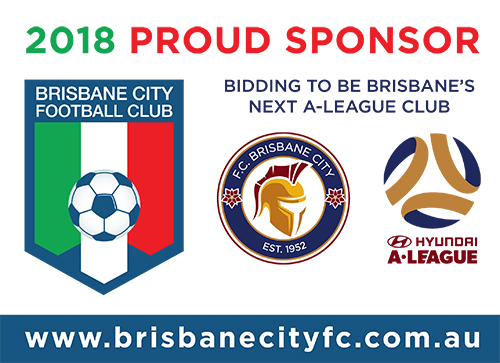 Brisbane City Football Club is proud to announce Just Us Lawyers will continue as a Gold Club Sponsor for the 2018 Season. Last week Mel Demarco, Natalie Smyth and Colin Hardie, from Just Us Lawyers, met with David Asnicar, Club President, & John Kosmina, Senior Coach, to announce Just Us Lawyers’s Gold Sponsorship for the Club’s 2018 year. MAJOR ANNOUNCEMENT – JUST US LAWYERS take GOLD Sponsorship with Brisbane City backing our future. 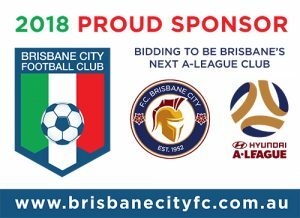 Brisbane City Football Club is proud to announce Just Us Lawyers will continue as a Gold Club Sponsor for the 2018 Season. Just Us Lawyers will maintain a signage presence on Corporate Travel Management Stadium and at our Mark Street Training Grounds. From our offices at Kelvin Grove and Wilston, Just Us Lawyers will help you with any legal issues relating to Conveyancing, Property, Commercial Business and Wills and Estates. We have a dedicated, experienced and professional team. Welcome back Colin and the Just Us Lawyers Family. Thank you David, John and the Brisbane City Football Club – wishing you the very best for 2018. 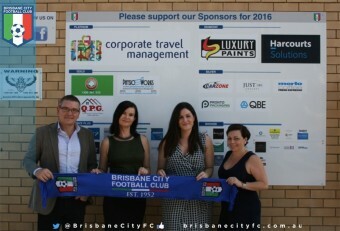 Just Us Lawyers is a proud sponsor of the Brisbane City Football Club. 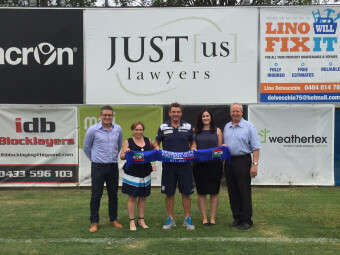 Last week Mel Demarco, Natalie Smyth and Tara Dodd, from Just Us Lawyers, met with David Asnicar, Club President, to announce Just Us Lawyers’s Gold Sponsorship for the Club’s 2017 year. MAJOR ANNOUNCEMENT – JUST US LAWYERS TAKES GOLD SPONSORSHIP and supports the full time Brisbane City Football Club Goalkeeping Academy. Brisbane City Football Club is proud to announce Just Us Lawyers has upgraded to be a Gold Club Sponsor for the 2017 Season as well as a Sponsor of the Brisbane City Football Club Goalkeeping Academy. Just Us Lawyers will maintain a signage presence on Corporate Travel Management Stadium and at our Mark Street Training Grounds, in addition to becoming a significant jersey sponsor for 2017. Just Us Lawyers will help you with any legal issues relating to Conveyancing, Property, Commercial Business and Wills and Estates, with a dedicated, experienced and professional team. Just Us Lawyers are a local firm that strives for a personal approach and will unravel even the most complicated legal issues for you. See www.justuslaw.com for more details on the services Just Us Law provide. Thank you David and the Brisbane City Football Club – wishing you the very best for 2017.